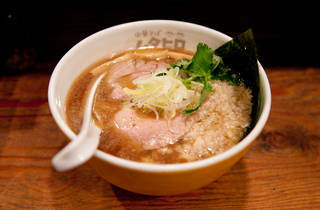 Find this ramen joint near the south exit of Kokubunji Station. The most popular dish is the Wahaha Niboshi Chuka Soba, a gently flavoured soup made with dried sardines that avoids the bitterness often found in this type of ramen. 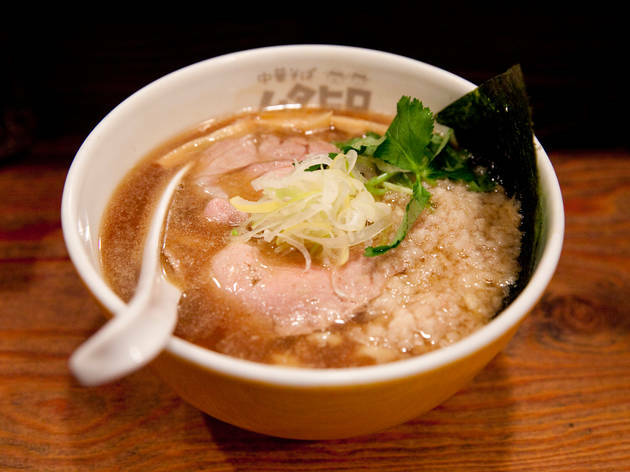 They previously served both niboshi soba and chicken soba, but since the opening of a branch shop on the north side of the station, this location is dedicated only to sardine-based creations.